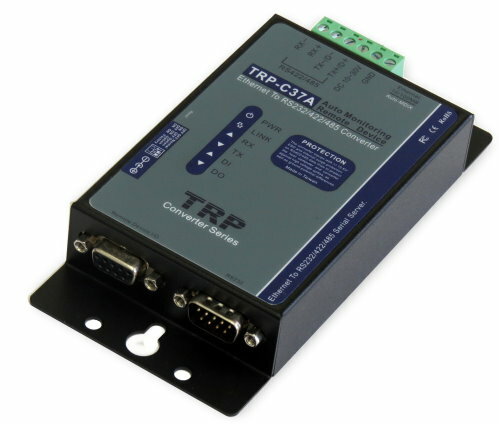 In addition to serial server function, The TRP-C37A is able to remote monitoring serial device. The Serial device must be sends a single pulse to TRP-C37A continually per 30 seconds. If serial device do not send a single pulse over 30 seconds ,the TRP-C37A will be actives the relay. If the serial device need to restart, user can feel free to set the relay enable through the TRP-C37 A web configuration. 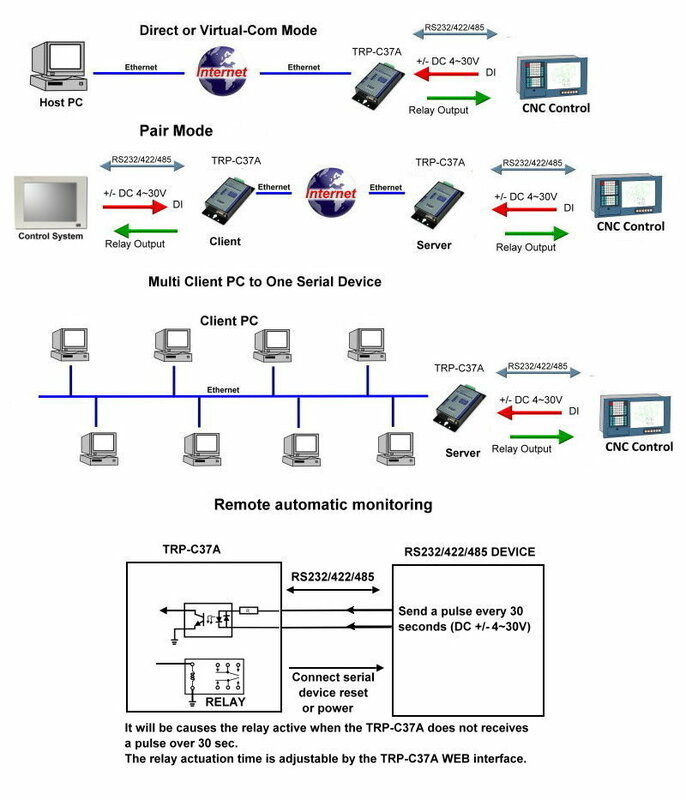 Automatic remote monitoring serial device. Automatic restart the serial device. Direct active the relay by web based utility. Read the counter value and DI status from web based utility. Adjustable relay latch time from web page. External watchdog function prevents system or power fail. Maximum Connection 16 Client PC at Server Mode. Virtual Com Support Server, Client, UDP mode. Auto Pair-mode when power or Ethernet fails. Back to factory by external switch. RS485 signal: differential 2 half-duplex wires (DATA+, DATA-). RS422 signal: differential 4 full-duplex wires(TX+,RX+,TX-,RX-). Data Rate: 1200,2400,4800,9600,19200,38400,57600,115200,921600 K bps . Stop Bits: 1, 1.5 or 2. External switch 1,2:OFF/OFF :TCP and VSP mode. ON/ OFF : Option . Heartbeat function: TCP 5300 port send a strings per 5 seconds. 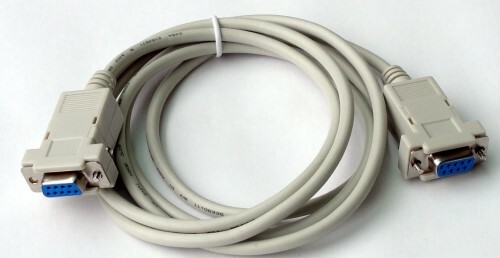 Maximum TCP connections at the same time: 16. Digital I / O connector: D-type 9PIN female. Digital input an effective voltage: DC +/- 4 ~ 30V. Digital Input count : 0~65535. Relay setting start to closing time: 1 ~ 255 (ms / unit). Relay specifications: two independent NC, COM, NO. Relay contact capacity: AC 125V / 0.5A, DC 30V / 2A, DC110V / 0.3A. Power supply: Screw terminal or DC jack . Operating Temperature:-10 to 65 °C.